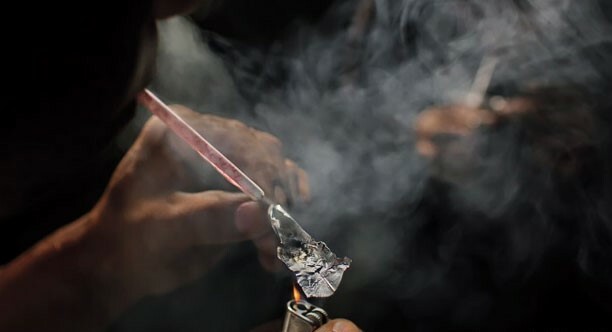 Myanmar officials are complicit in the drug trade fuelling Bangladesh's drug war. Bangladesh's 'war on drugs' began sometime earlier this month. According to reports, till date, around 108 people have been killed in this 'war'. The authorities have maintained that the deceased were all drug peddlers. On one hand, Bangladesh is faced with an increasing demand and ready supply of both narcotics and prescription drugs. On the other hand, the drugs abused in Bangladesh are manufactured beyond its borders. What has begun to emerge is that as far as the narcotics flow is concerned Myanmar is the main manufacturing country. The logistics involved in trafficking the contraband into Bangladesh at present appear to be Rohingyas fleeing Myanmar. However, the 'king of yaba' in Bangladesh has been in operation for around 10 years, while the present Rohingya crisis only erupted in 2017. Considering their fraught existence and near stateless status, the Rohingya being the most desperate, seem to be the prime choice as 'mules'. This is more apparent as the only border Bangladesh shares with Myanmar is along the Rakhine state, home to both the ethnic Arakanese and the Rohingya. Myanmar has long been the lynchpin in the renewed 'golden triangle'. Prolonged ethnic insurgencies along its international borders have also enabled the drug trade to grow. In 2010, Bertil Lintner writing for DVB laid bare the Myanmar junta's role in enabling the drug trade. It all began with managing the ethnic insurgencies in Myanmar which themselves were a fallout of a mutiny within the Communist Party of Burma (CPB). The CPB with Chinese aid was initially formed to eradicate the remaining Kuomintang forces who had established themselves in the Wa region after being pushed out of Yunnan. The CPB later developed as a military force to bring revolution to the country. They largely recruited the local Wa people as well as other ethnic minorities to form the bulk of their army. The Wa eventually mutinied against the main Barman party leaders in 1989 and drove them out of the area. This led to the eventual disintegration of the CPB and the rise of the ethnic militias, the largest and best armed being the United Wa State Army (UWSA). The UWSA quickly entered into a ceasefire agreement with the Myanmar Government, an important part of which was that the UWSA was allowed to undertake any business to sustain themselves. This was when the UWSA began heroin production. Initially, poppy cultivation was limited to a few areas along the Thai border however, the UWSA expanded the cultivation of poppy and established processing factories within its territory. The junta was least worried about drugs and more concerned with managing the other insurgencies, the most notorious being the Kachin Independence Army (KIA)-led movement in northern Myanmar. In the 2000s, the poppy was no longer as lucrative and the synthetic drugs business became more promising. The militias began establishing factories to produce methamphetamines, the most infamous being yaba also known as 'World is Yours' (WY). Ironically, the money derived from the drug trade was invested into Myanmar's legal economy, banks and legitimate business conglomerates were established. The drug lord militia leaders also greased the palms of many army officers – much like the Escobar years in Colombia. Problems with these arrangements began appearing only towards the end of the 2000s. The junta in view of the changing political climate in Burma sought to convince the militias to reconstitute themselves as Border Guard Forces. This would enable the militias to form political parties and enter the political fray – possibly aligning with the junta. The groups refused and the military crackdowns began. In 2009, an operation took place along the Thai border against a smaller CPB breakaway, which resulted in caches of arms as well as copious quantities of narcotics being seized. The irony was that the militia, against which the operation had been launched, was formerly praised for its anti-drug efforts. The United Nations Office on Drugs and Crime (UNODC) had also previously praised the militia for its anti-drug efforts. As of 2017, the Myanmar Government has finally accepted that the country has a drug problem. The government's official position is that drug manufacturing mostly occurs in remote regions which are not well connected. Where there is better road connectivity, the farmers tend not to grow poppy. The problem with this outlook is that among the remote regions, the biggest drug cartel is managed by the UWSA. The UWSA, since signing the ceasefire agreement with the government, has established itself as a state unto itself. They have casinos, helipads, hotels and all the signs of affluence. However, the only currency used in the UWSA-controlled region is the yuan. In fact, the region is better connected across the border to China than it is to the rest of Myanmar. On the other hand, some of those involved in the drug trade have been elected to the Myanmar parliament. The UNODC, after being left red-faced in 2009, has since then recognised the government's complicity in drug trafficking. In recent months Myanmar army soldiers have been caught attempting to traffic yaba into Bangladesh. The UNODC, on May 22, at a regional meeting of police and government officials in Naypyidaw, mentioned the falling prices of yaba across Southeast Asia, which is indicative of its booming supply. This meeting took place ten days after a large consignment of yaba and crystal meth was seized in Thailand. The narcotics had been packed in Chinese tea packaging. Their origin was the UWSA controlled region. The interesting note in the mess that is Myanmar's conflict management policies, is that those opposed to the government are also those most involved in countering the drug trade. For example, the KIA, as well as, the more recently formed Ta'ang National Liberation Army (TNLA). The TNLA is allied with the Kachin organisations and has conducted major drives in convincing farmers to desist from growing poppy. They regularly burn opium and poppy. However, their efforts appear to be in vain as many employers in the region even pay wages in opium since money is scarce. However, according to reports, it appears that not all anti-government militias in Myanmar are opposed to the drug trade. It is reported that the Arakan Rohingya Salvation Army (ARSA) cooperates with the Myanmar army only on the drug trade, which may explain the use of Rohingyas as mules. While on one hand, the official position in Myanmar is that the drug trade will take a hit when the ethnic conflicts end, on the other hand, the involvement of state officials in turning a blind eye if not active participation in the drug trade cannot be overlooked. The more pressing concern is the rampant use of the desperate in the trade, not only for carrying the drugs but also for their production. Theoretically, a new Panglong Agreement would help in ending the long drawn insurgencies. However, the lucrative drug trade brings a new dimension to the table. The drug lords will most likely attempt to scuttle any effort at resolving the disputes, as they would have money to lose. Countries bordering Myanmar will have to bear the brunt of the traffic. However, the use of Rohingyas will most probably lead to their persecution in the countries of refuge, since it is easy to blame the 'outsider' for domestic demand. Winter in Bangladesh is marked by a cold breeze and cool days.